"You like his values, you know who he is. This is a guy who served his country. This guy's a patriot. This man knows as much as I do about this stuff (national security)." With those words U.S. 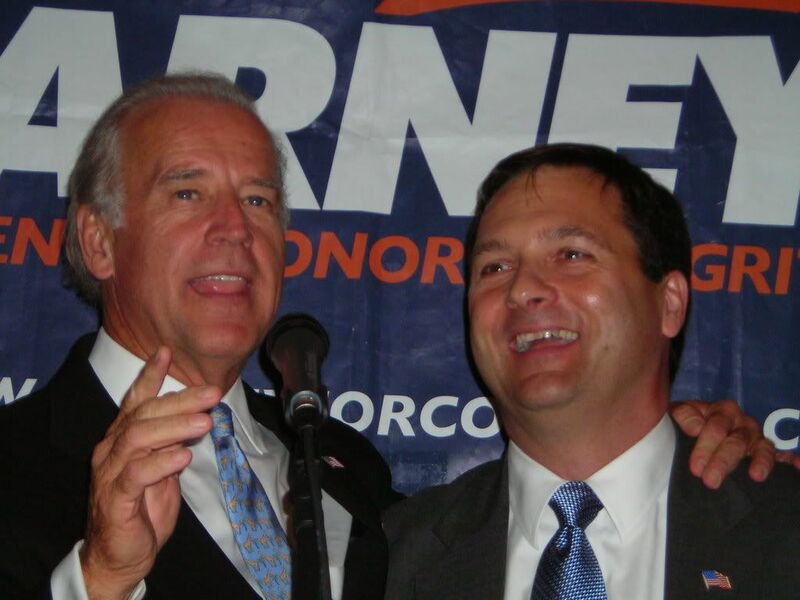 Senator Joe Biden of Delaware flew into Scranton today to endorse Chris Carney for Congress. Biden appeared at an event for Carney in beautiful downtown Archbold, Pennsylvania, a few miles from the area where he was born and raised. 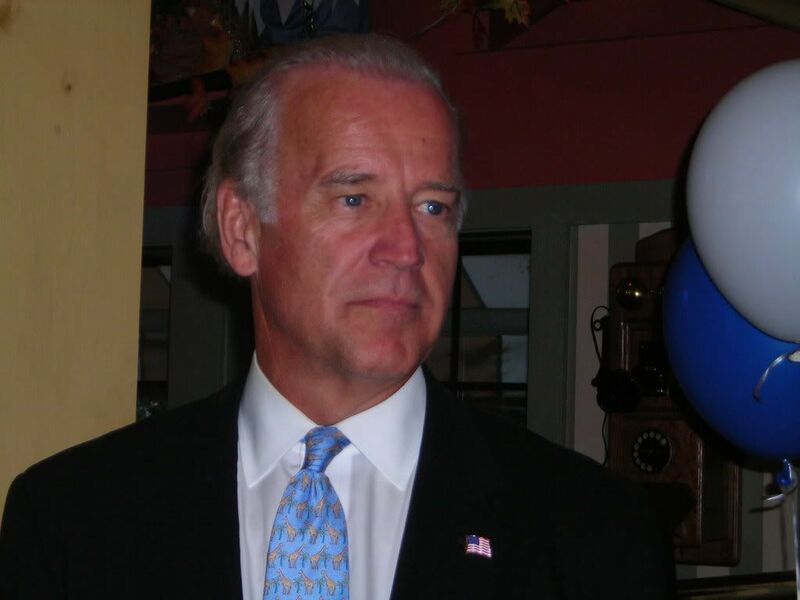 I lived in Delaware for quite a few years and had the honor of voting for Senator Biden several times. For several years I drove past the intersection where his first wife and daughter were killed in a tragic auto accident. I can never go past that liquor store without saying a little prayer for the Senator and his family. 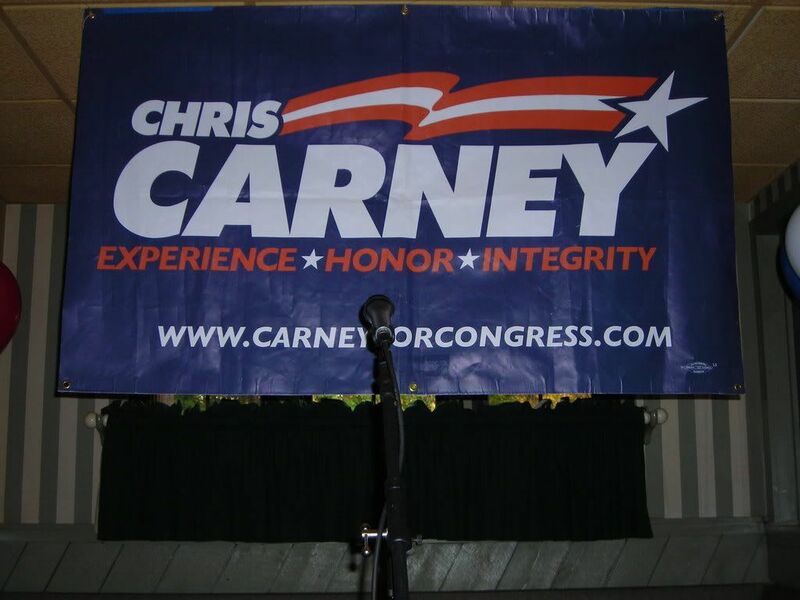 When I got word he'd be in Scranton it seemed like a good time to get up there and see what's going on with the Carney campaign. Barrett's was filled to capacity and more. You literally couldn't move in the place. I'd guess somewhere between 75-100 people turned out. The Carney people were extremely nice and energetic. The event was well planned and well staged. I also saw quite a few people holding checks they brought for contributions. The Senator had a few choice words for our President: "This Administration has no vision, it has an ideology. It has no plan. Their philosophy is bankrupt." "The single thing missing in this Administration, from war to pedophilia, from Katrina to whatever else-nobody has been held accountable-for anything." "These guys are arrogant and unaccountable." It was a good event and I felt I got a good impression of Mr. Carney. He's a good looking man with bright blue eyes. He has a magical smile and connects well with his audience. The people there obviously love the guy. He's running a hard campaign and actually has a shot in this District which encompasses an enormous area: 9-10 counties. I can't imagine coordinating and running a Congressional campaign like that. At least in the Senate campaign we knew where to concentrate resources. In a campaign like this one you have to spread all over the map. Wilkes-Barre and Scranton alone won't win. Making it harder still is W-B and Scranton are not in the district. It's small town America and lots of farms. If a Dem can win here they can win anywhere. Howard Dean has the right idea, run hard everywhere. Gee, that does make it harder. Looking at a map of the district I couldn't tell, not being all that familiar with the area. I haven't gotten up that way much since I was a kid. My father was from Plymouth. A small correction, PA-10 is all or part of Pike, Wayne, Susquehanna, Wyoming, Lackawanna, Luzerne, Wyoming, Bradford, Tioga, Lycoming, Sullivan, Montour, Union, Northumberland, and Snyder. Crazy redistricting, no? Thanks for covering the race! It was great to come and get a sense of the candidate and campaign first hand. Some campaigns actually want and value coverage and support from bloggers. Others obviously don't. The staff up there was great and glad to see me there. 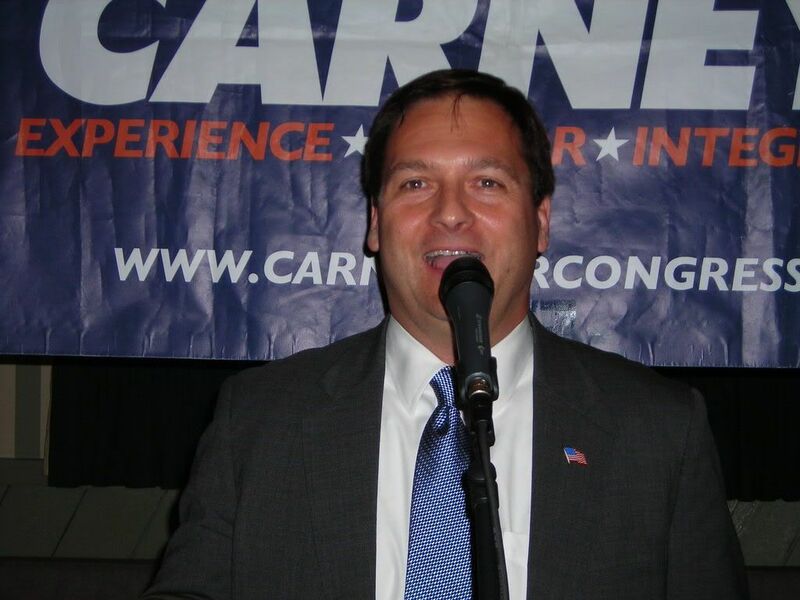 Lois Murphy's staff could take some lessons from the Carney, Herr and Murtha campaigns.